People say that satisfied customers will tell three friends, while angry customers will tell 3,000. That might be a slight exaggeration - but the principle remains true. Especially with so many social media outlets available today, customers are more empowered than ever to share their good (or bad) experiences about a business in public. There have been countless stories of brands gone bad because of some negative PR on the web. On the other hand, this empowered consumer allows for more transparency and allows for the truth to be spoken. Today we're taking this opportunity to focus on the good and share some positive feedback that we have received from our clients. The first comes from Jeanne Chinn, who is the Research Operations and Panel Manager at Zynga. "We are using the Survey Analytics MicroPanel module as our panel tool. We use this tool for recruiting new panel members and hosting outreaches to the panel. The tool is easy to use and has built-in features to control frequency of use and diagnostics for individual panel member participation. The awards distribution tool makes a cumbersome task easy to set up and manage. Survey Analytics has a great support and development team so features can be customized to suit the needs of their clients. 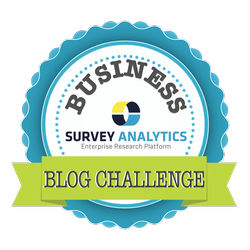 We value our relationship with Survey Analytics and having this tool expand with our growing panel. We would like to see this tool developed further so it will include more panel management functionalities so we can more seamless, at our fingertips via dashboards view panel metrics customized for our panel management needs." The next comes from Mike Lott from Cedar Fair. Cedar Fair is one of the biggest entertainment and amusement parks company in the world, including parks such as Cedar Point and California's Great America. Mike is using SurveyPocket to collect data from park guests on iPads and he has experienced tremendous success. "SurveyPocket has really simplified the process. The iPads work great, and the interviewers seem to like them. I'd been looking to do something like this for a while. We had a whole new executive team come on board and it was an opportunity to do everything the way we had always wanted to do it." Mike continued about his success with the iPads in the park rather than the old-fashioned pen and paper surveys. "Some of the interviewers who did paper surveys with us last year said a lot of the guests don’t seem as intimidated when they see someone with an iPad coming toward them than they do when they see someone with a clipboard coming toward them." "We used to have to hand-do monthly reports for all of the parks. That’s all gone away now. This year we set up dashboard accounts so a select group at each park has access so they can log on and see the reporting for their park. Everyone can access their own data; they can run their own cross-tabs. It works really well for us. The feedback from the park marketing directors has been really positive."